Léopold Lambert (ed), The Funambulist 14 (Nov–Dec 2017): Toxic Atmospheres. 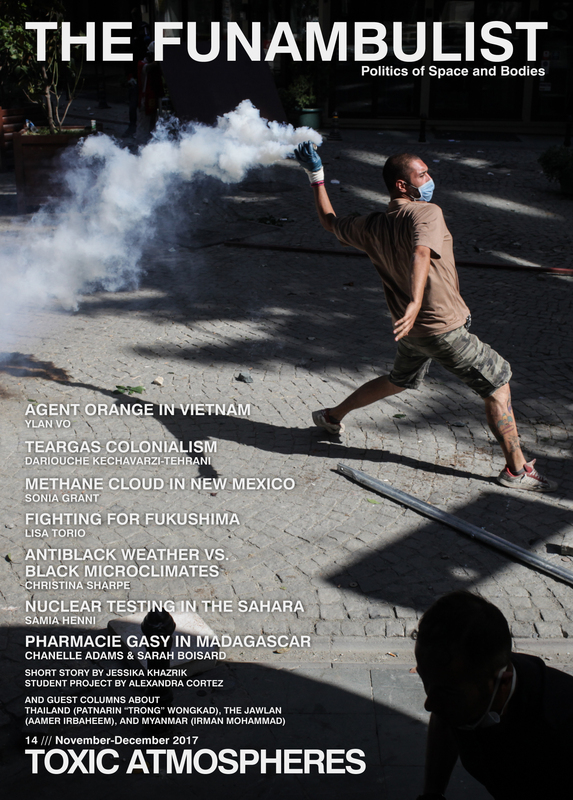 The Funambulist magazine, through its six annual issues, attempts to examine the politics of design in relation to the body. 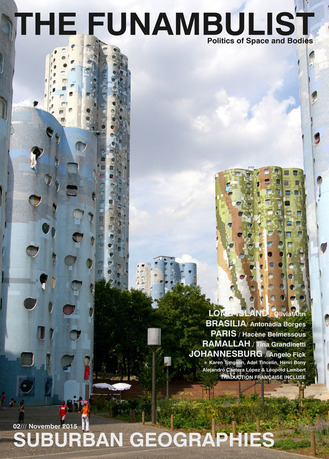 Each issue is dedicated to a particular topic involving a particular scale of design: urbanism, architecture, industrial, and fashion design are thus mobilized without any hierarchy between them. The four first issues are respectively dedicated to militarized cities, suburban geographies, clothing politics, and carceral environments. In addition to recurrent guest columns and blog articles re-edition, each issue contains an introduction, five case-studies, an interview, a photography section, and three student projects, all in relation to the issue's topic. The particularity of the magazine's contributors is that many are not directly related to the disciplines of architecture or design but, rather, to the humanities (anthropology, history, gender and feminist studies, legal theory, etc.). This allows crucial bridges to be constructed between two worlds that tend not to communicate enough to address the political issues of space and bodies. Léopold Lambert is a Paris-based architect who also lived and worked in Hong Kong, Mumbai, and New York. He is the editor-in-chief of The Funambulist magazine, its blog, and its podcast, Archipelago. He is the author of several books: Weaponized Architecture: The Impossibility of Innocence (dpr-barcelona, 2012); The Funambulist Pamphlets, Vol. 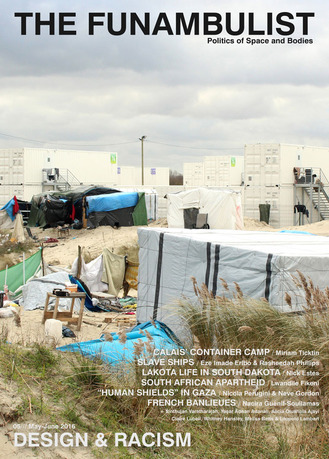 1–11 (punctum books, 2013–15); Topie Impitoyable: The Corporeal Politics of the Cloth, the Wall, and the Street (punctum, 2016); and La politique du bulldozer (The Politics of the Bulldozer, Éditions B2, 2016). He is also the editor of The Funambulist Papers, Vol. 1–2 (punctum, 2013–15). 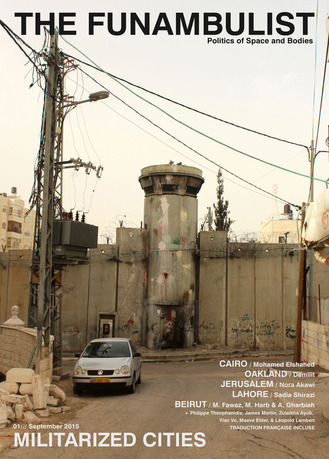 In addition to these mediums (designing/writing/editing/recording), he also regularly creates cartographic work to address certain spatial political conditions in Palestine and in the French banlieues (suburbs), and occasionally publishes photographic work.